When working in a game reserve in South Africa one has many opportunities to take images of Lions, Leopards, Elephants, Giraffe, Zebra, ……. Going to a Zoo in Switzerland presented me with some – for me – unusual images. 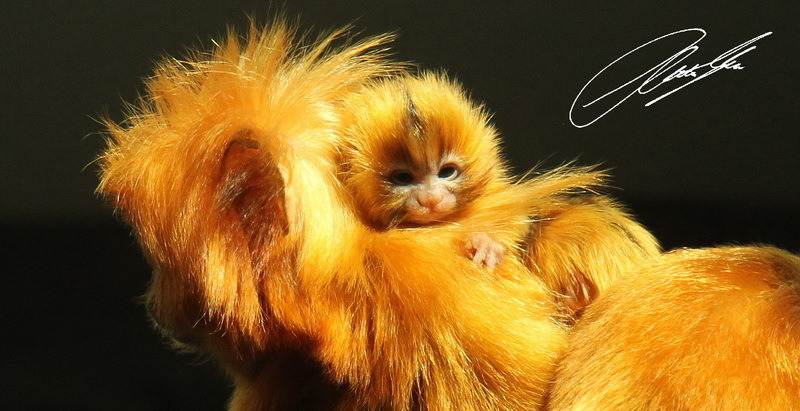 The first image is of a baby Golden Lion Tamarin – my nieces thought that this little one was the cutest creature in the zoo. The second image is of an Elephant Shrew – one of the small five :-). The third is of a Carmine Bee-eater, one of my favorite birds. I love the African Wild, but I also enjoy well run zoos! 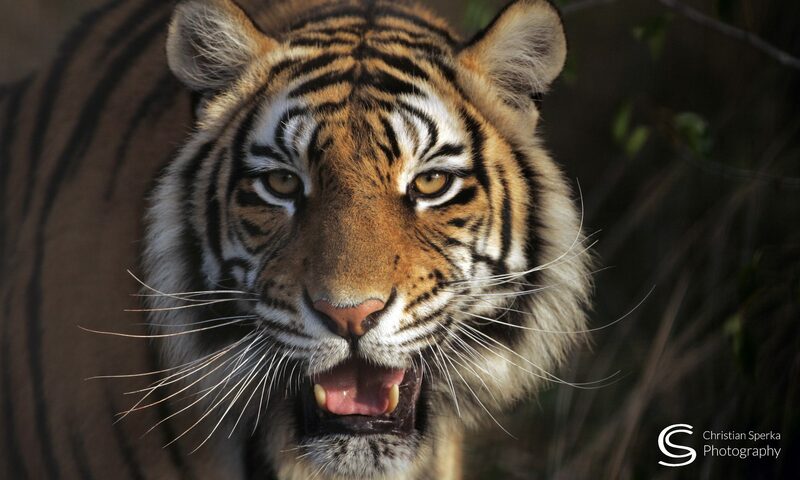 They have such an important role in education, research and conservation. They are an important “tool” to ensure that the 99% of mankind – who will never see the animals in their wild habitat – have an appreciation for the need to preserve nature. The Golden Lion Tamarin is a small New World monkey. Native to the Atlantic coastal forests of Brazil it is an endangered species with an estimated wild population of approximately 1,000 individuals and a captive population maintained at approximately 490 individuals among 150 zoos. Elephant Shrews are small insectivorous mammals native to Africa whose name comes from a “fancied resemblance” between their long noses and the trunk of an elephant, and an assumed relationship with the shrews in the order Insectivora. The Carmine Bee-eater occurs across sub-equatorial Africa. 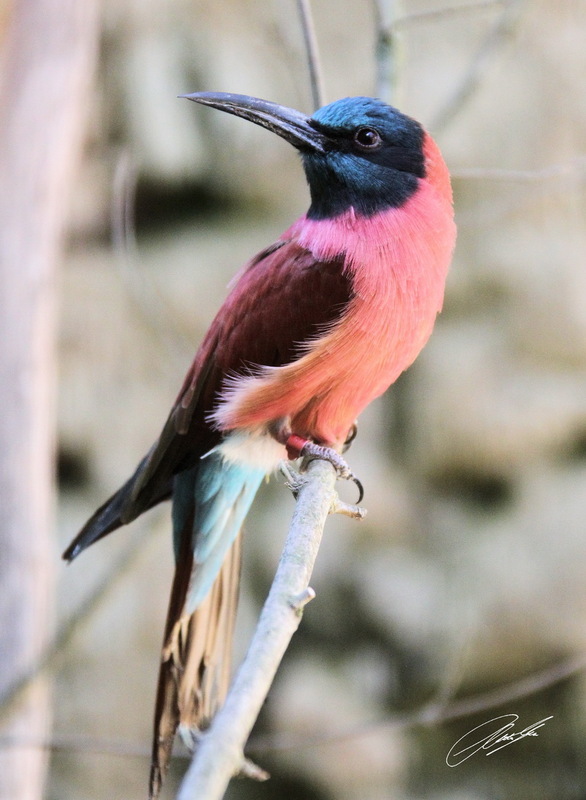 This species, like other bee-eaters, is a richly colored,striking bird, predominantly carmine in coloration, but with the crown and under-tail coverts blue.